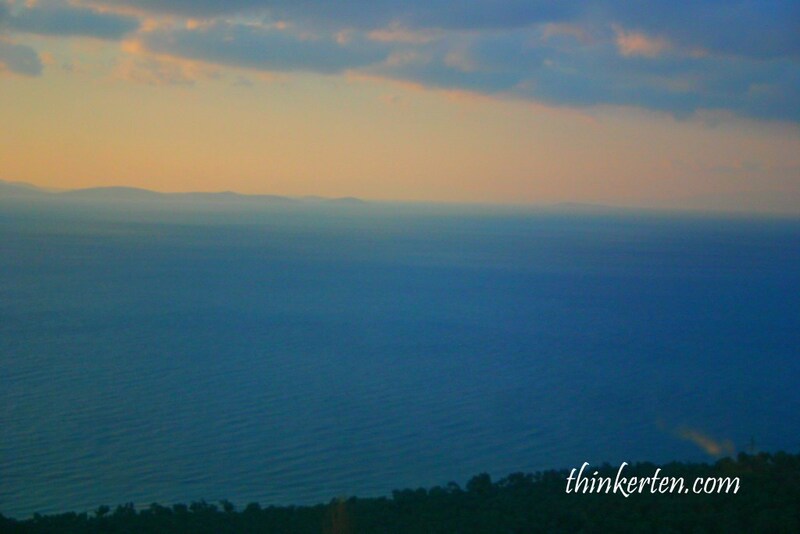 We departed very early in the morning and passed by Aegean Sea, truly beautiful. Aegean Sea is located in eastern Mediterranean, a very comfortable climate which is an ideal destination for cruises and holidays. 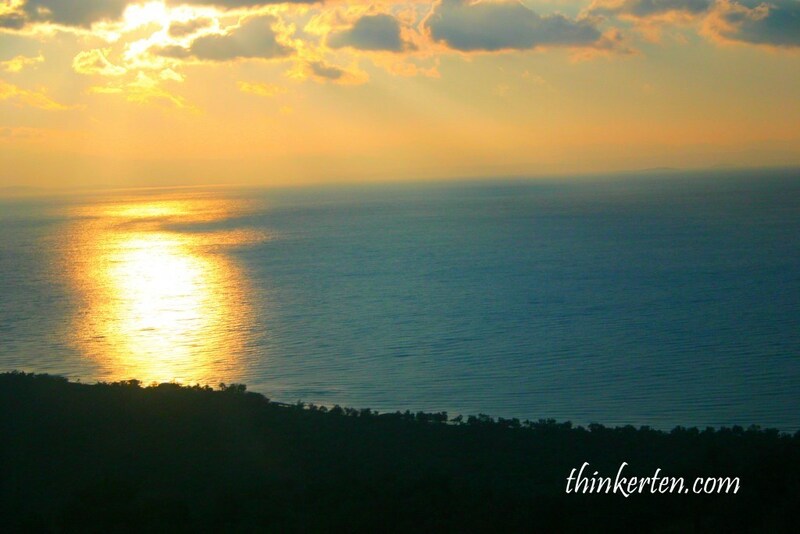 The Aegean Sea lies between the coast of Greece and Turkey. The Aegean sea hold many history and legend, the sea which thousand Greek ships sailed when they set to destroy Troy and rescue the beautiful Helen. I gotten this piece of knowledge from Brat Pitt’s movie, “Troy”. 🙂 No Sign of Helen but beautiful sunrise looking over Aegean Sea. 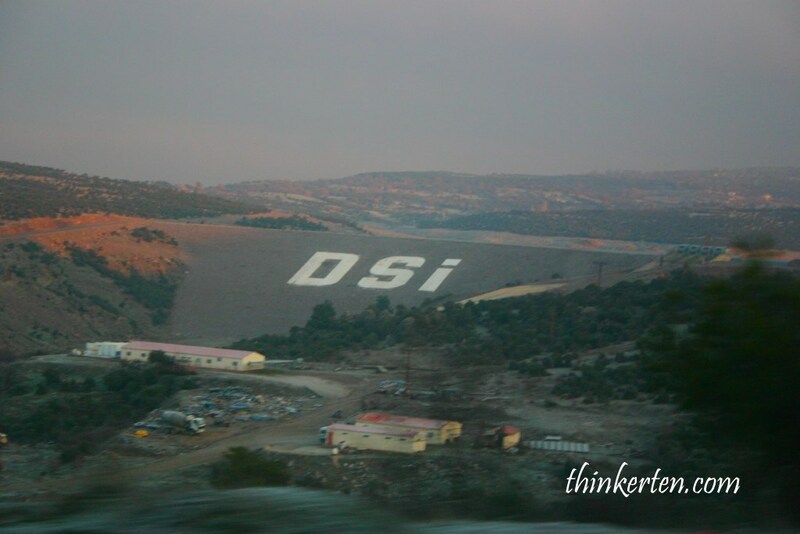 We passed by the DSI, a water dam in Turkey. It is one of the world’s largest earth-and-rock fill dams. DSI is an important water dam which is responsible for the utilization of all the country’s water resources. 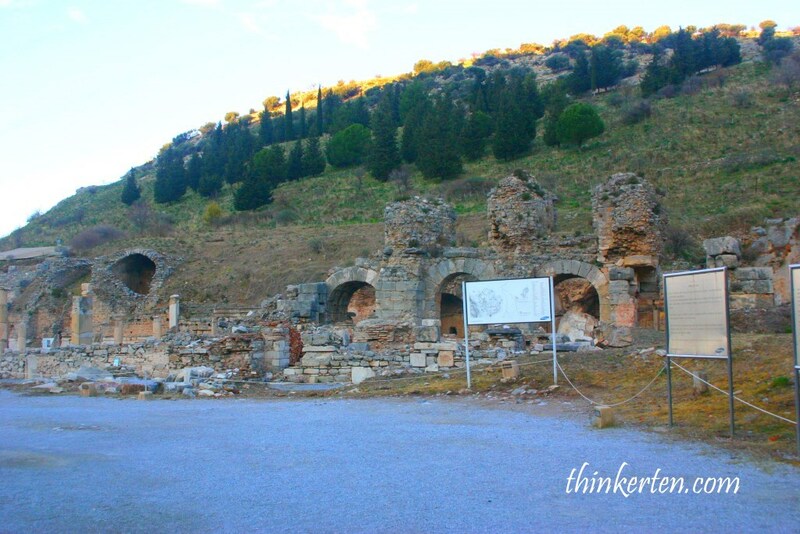 Well, this is not a touristic spot, we just happen to pass by on our way to Pergamon. 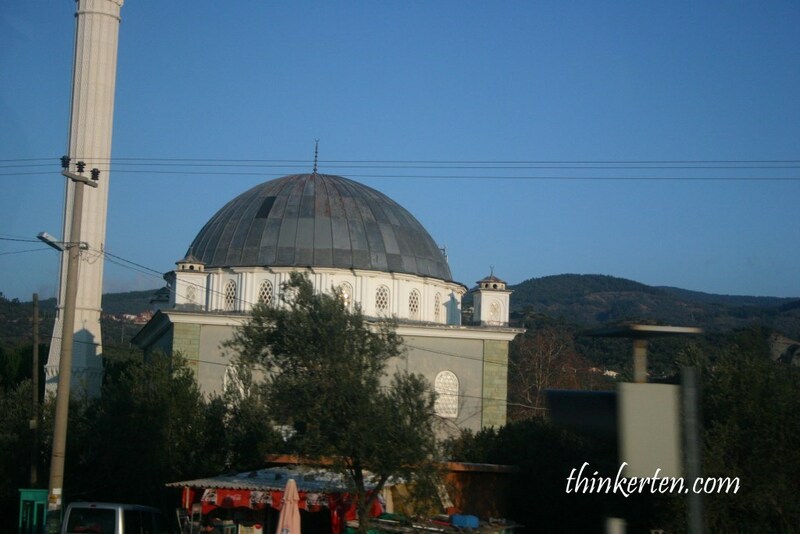 Passed by a mosques, not a famous one but there are more than 80,000 mosques in Turkey! Quite a huge number of mosques! 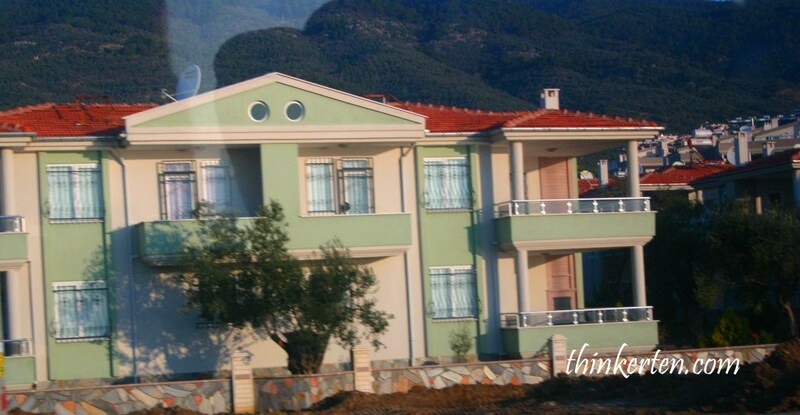 Some nice residential housing on the way to Pergamon. Very nice design, could be the modern home for the Turkish. 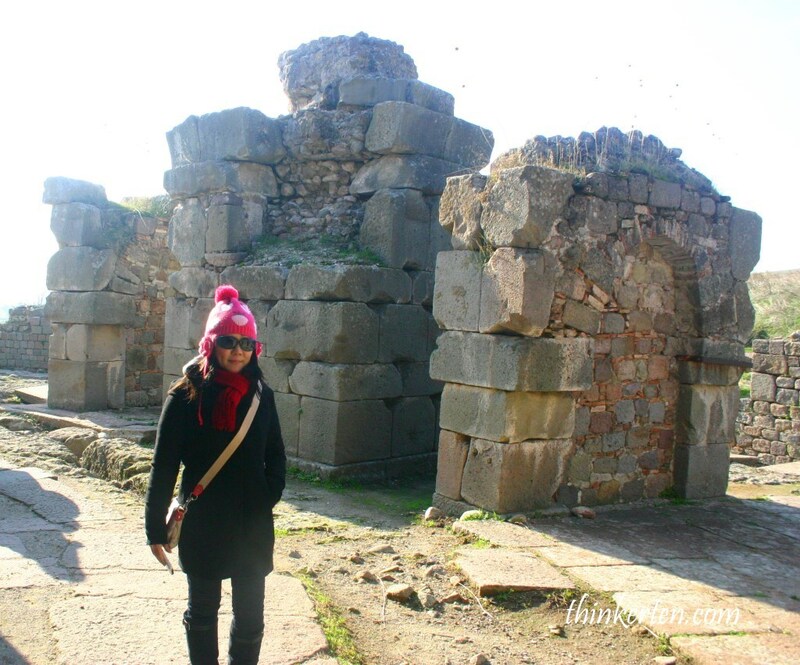 Pergamon is the ancient Greek city 25 km from Aegean Sea. 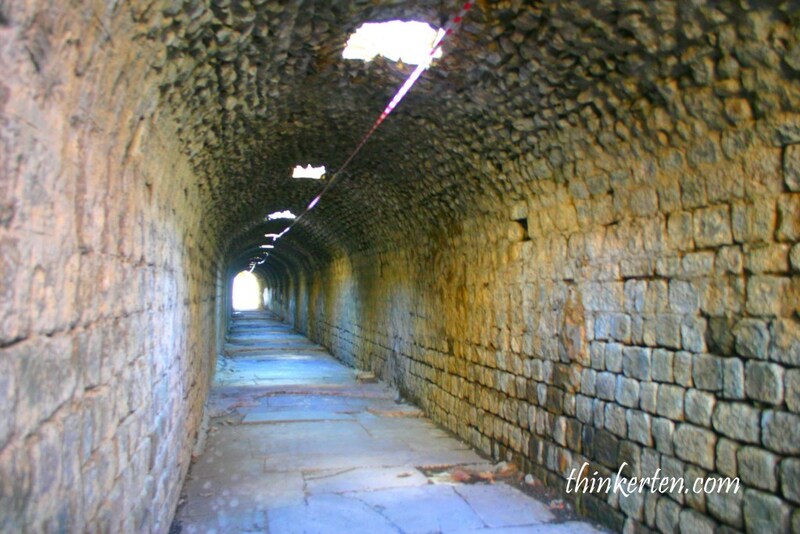 It is located in the present town of Bergama, Turkey. 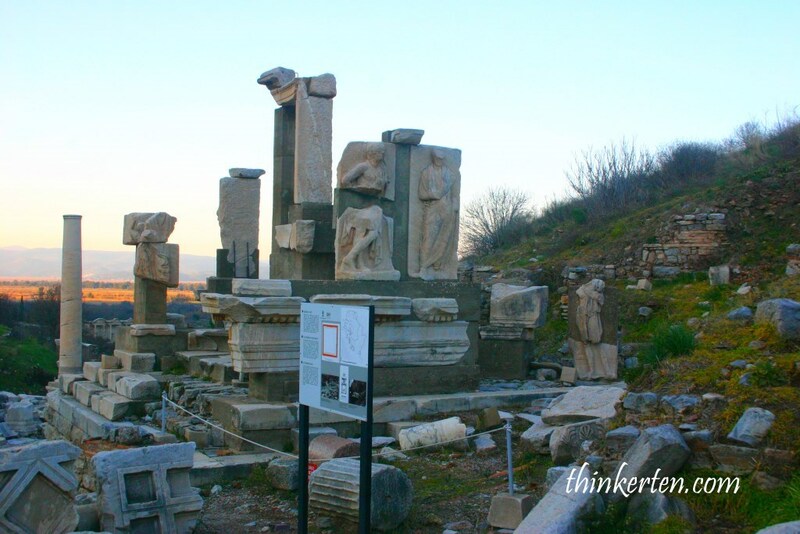 Asklepion is an ancient healing complex located at the base of the Pergamon acropolis in Turkey. The Asklepion was a term used in ancient Greece to define a type of temple, devoted to the god Asklepios, which acted as a healing centre. These day, we called it hospital or mental hospital. Compared to previous Cannakale Troy city, this site has more to offer. Patients walked pass the tunnel and stayed overnight at the cubicles located on either side of the passage. In the morning, patients would tell their dreams from the God of Healing to the doctors to help them find out the cure. Doctor get the important piece of clue from the patient’s dream, then diagnose with their illness and have treatment here. Treatments included psychotherapy, massage, herbal remedies, mud and bathing treatments, surgeries and the drinking of water, which were prescribed according to what dreams the patient had experienced. 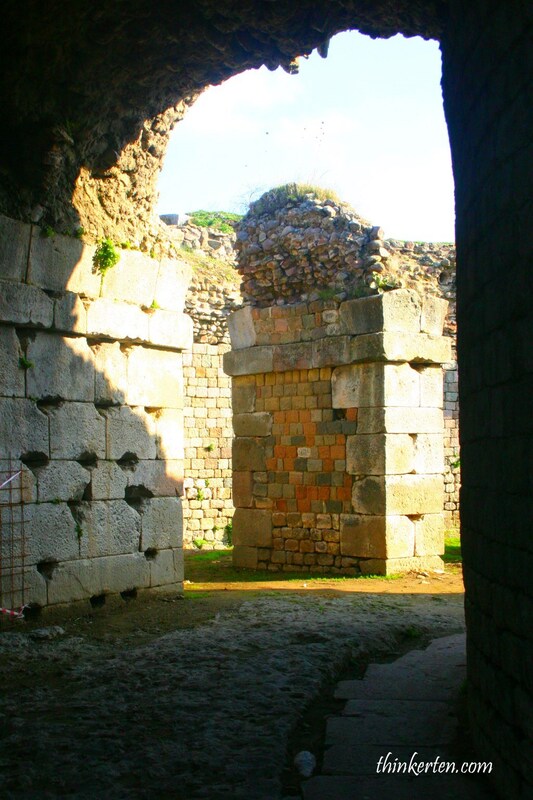 There was even a theatre at the Asklepion, to entertain the patients who would often stay for weeks. When you climb up to the stadium, you have a better view. Quite tiring to climb all the way up to the top of the few thousands seat theater which is used for shows as entertainment for sick patients. As you can see, the steps up are still good to walk up. 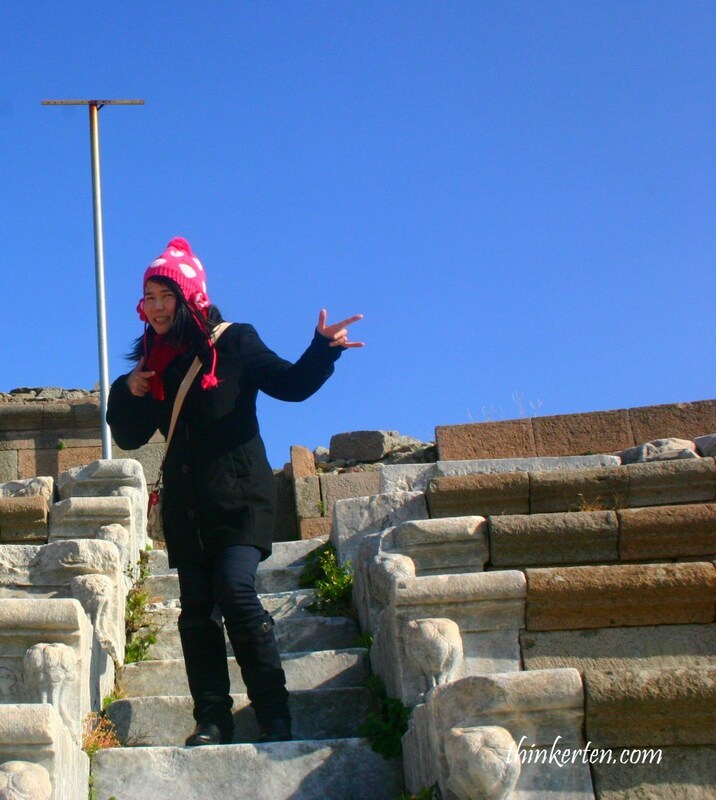 A victory pose when I was up at the top! May be I should seek some mental treatment here – refer to such crazy pose below. Wait for my dreams first 🙂 Then I will tell the doctor so they know what to do with me. 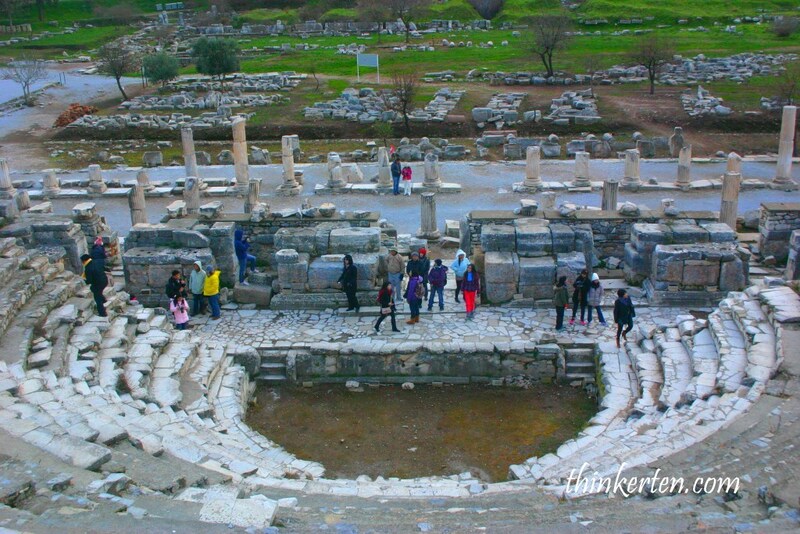 Ephesus was an ancient Greek city, about 170km, 2 hours drive from Pergamon. We arrived here at about 3 pm. 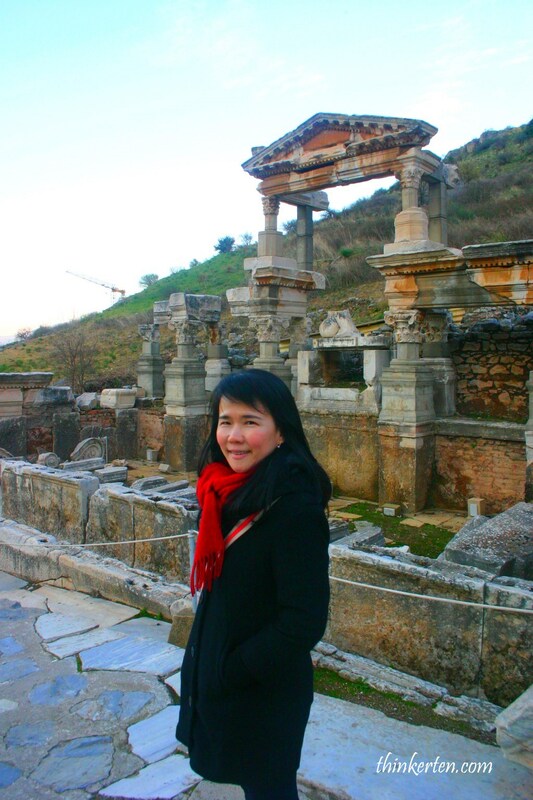 Ephesus, once, the trade centre of the ancient world, a religious centre of the early Christianity! This place was used to be the gather place for the rich, the famous and intellectual people. 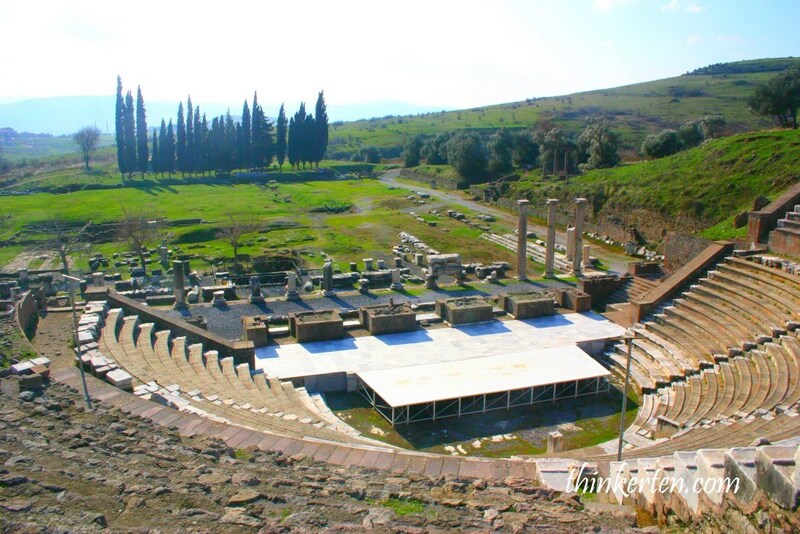 This great theater can sit up to 25 000 people in the ancient time. 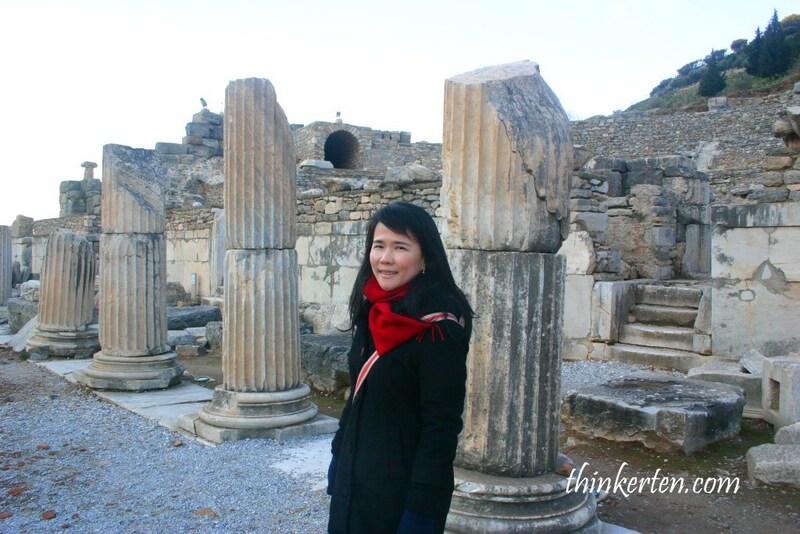 Stone carving is everywhere in Ephesus and could take days to know all of them. 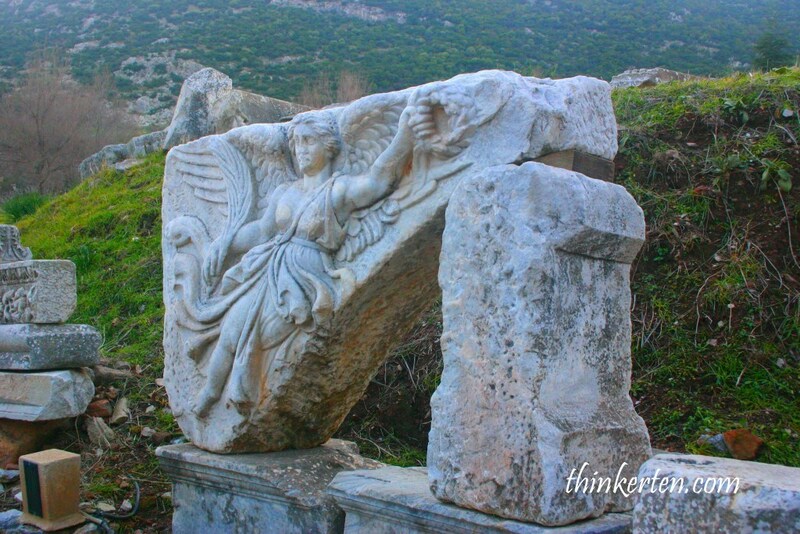 This is one of the highlight in Ephesus, showing Goddess Nike. Yes, is the Nike sportswear logo. You should look for this Nike stone craving, still looking very pretty. 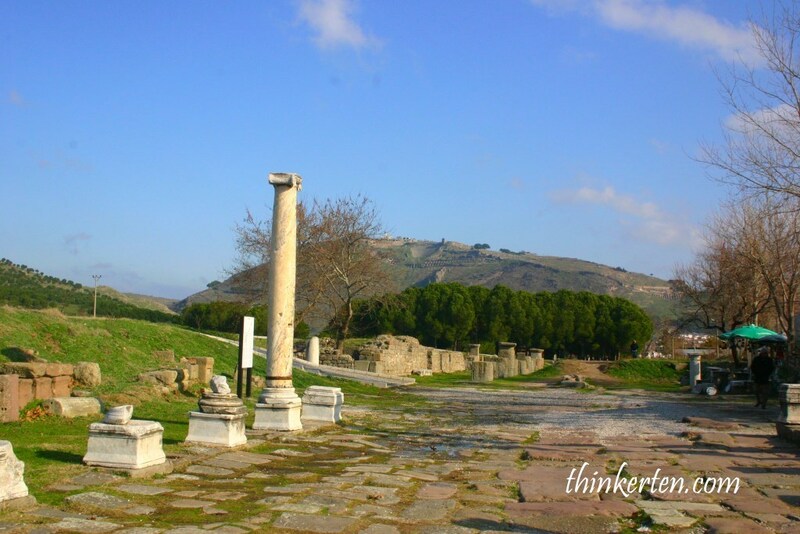 Since this is the place for commerce and trade, I believe the ruins beside me should be shopping centres and banks. Well, sometimes you need to use some imagination to visualize. 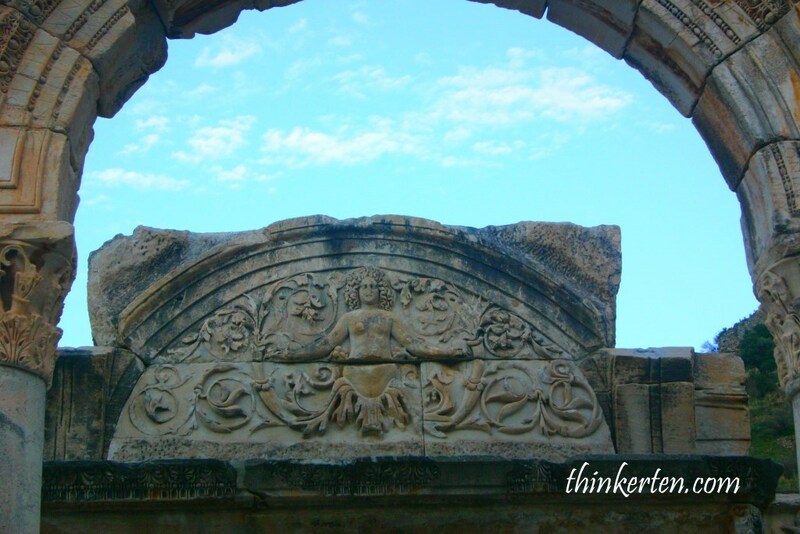 The arch inside depicts a human figure, believed to be Medusa as the hair look very much like snakes. Could be a place for public bath and toilets. By the way, Turkish bath is very popular and one should try if given the chance. It is a deep cleansing and scrubbing the whole body to let the pores open up and cleanse thoroughly. Of course not doing it here! 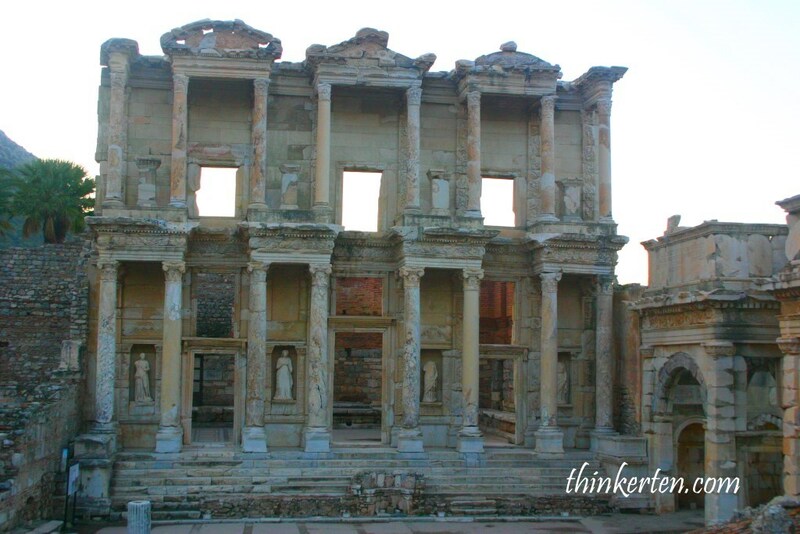 The Library of Celsus is one of the most popular attractions in Ephesus. It is dedicated to Celsus. 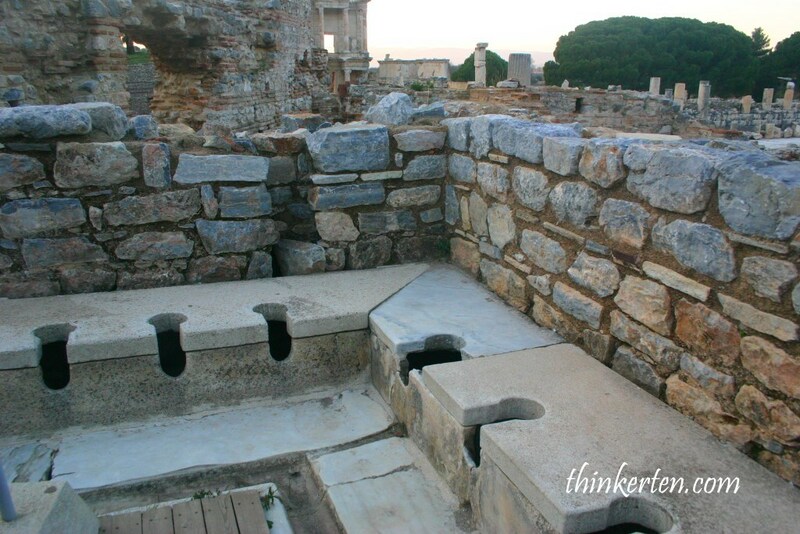 This style is believed to be the standard architectural form for Roman libraries. The library once held over 12,000 scrolls and was the third richest library in ancient times. Library but no books were found now. 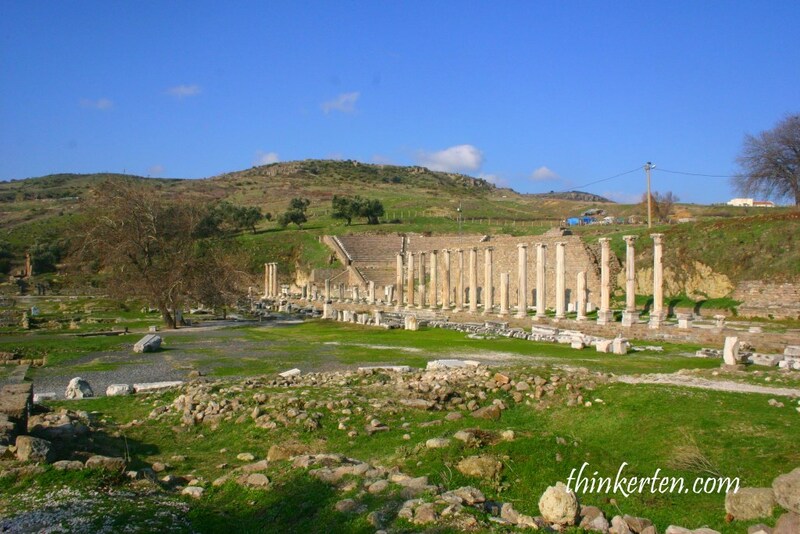 Pergamon Vs Ephesus – Which is better? 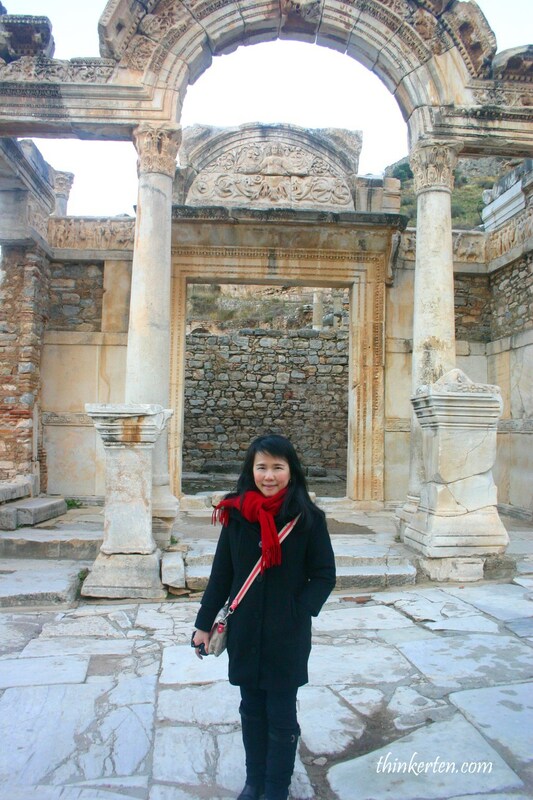 If you ask me, I would prefer Ephesus as it has more complete ruins to see. 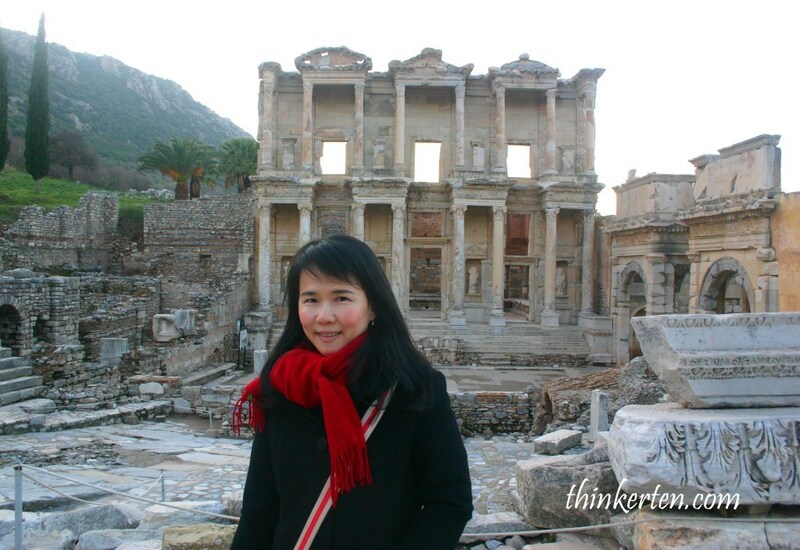 Not only you get to see the Library of Celsus, the most iconic landmark, you also can find interesting craving like Medusa and Goddess of Nike. 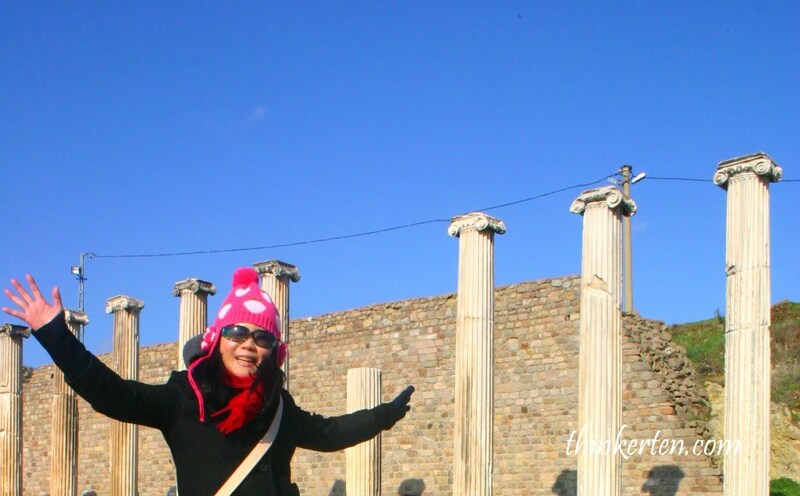 Pergamon is a healing place for the sick patients while Ephesus is a world trade center in ancient time! 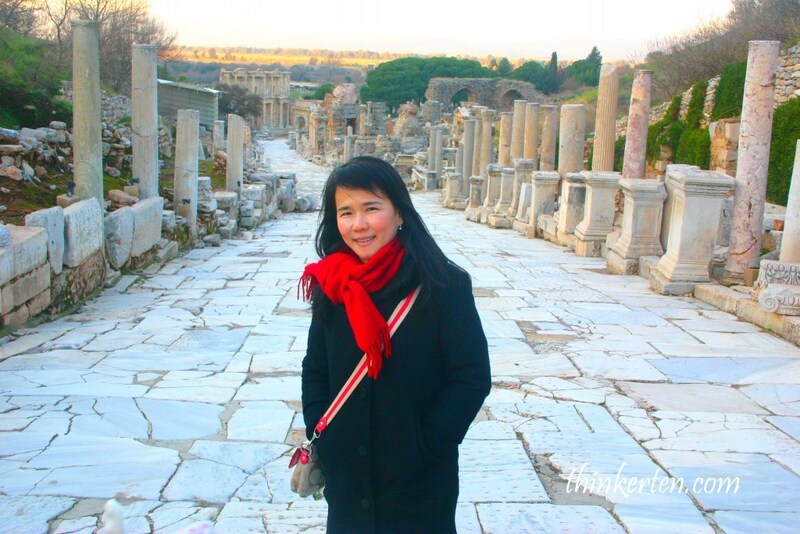 If you only have time for one place, go Ephesus!